From the political to the preposterous, 2017 was a colorful year for music. If a picture is worth 1,000 words, it’s also worth approximately 12 songs. As music took on a more political tone in 2017, so did the cover art that accompanied it, from vivid depictions of strong, uncompromising women and minorities to satirical takes on Western life, violent culture, and the American president. As with our Best Albums of 2017, though, we found comfort this year in the artistic balance between the thoughtful and the playful, with some of our favorite artists opting to go straight for belly laughs or aesthetic bliss. 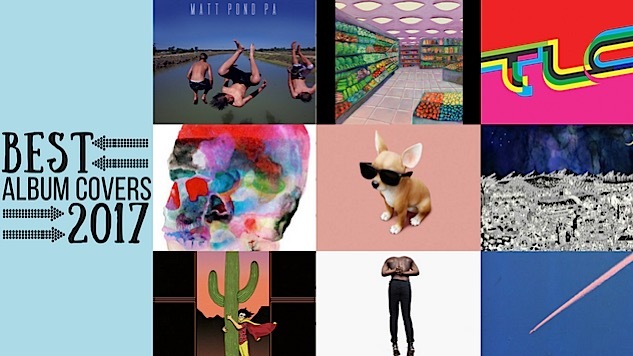 Here are the 40 best album covers of 2017.